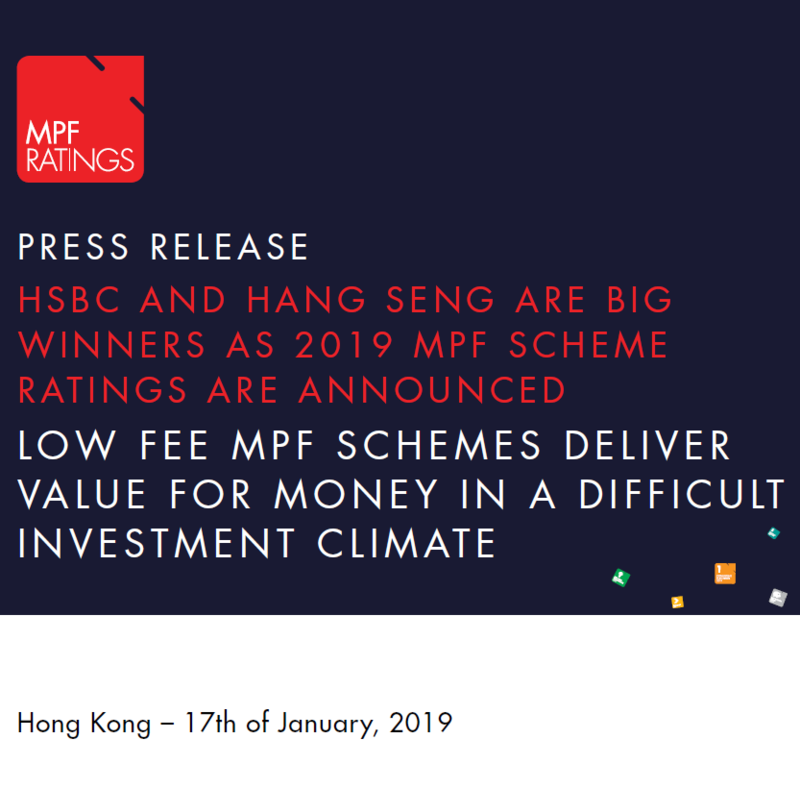 MPF Ratings Ltd (MPFR), an independent MPF research provider today announced its highly anticipated annual ratings of MPF Schemes; and for the first time ever both HSBC and Hang Seng’s SuperTrust Plus and ValueChoice schemes achieved a “Gold” rating; the highest rating issued by MPFR. The ratings are seen as an industry standard as the ratings are relative to industry participants and considers factors beyond simply performance and fees. Schemes are awarded “Gold”, “Silver” and “Bronze” ratings to reflect a schemes’ overall value for money to members. 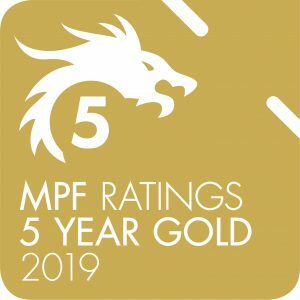 While announcing the ratings, MPFR also announced its award recipients, whose contributions to the MPF industry in the past 12 months will be celebrated at next month’s “The 2019 MPF Awards”; an evening which will culminate the announcement of the “MPF Scheme of the Year, the “MPF People’s Choice Award” and the “MPF Employers’ Choice Award”. Gold Rating: Gold rated MPF schemes are best value for money MPF schemes that are well balanced across all key assessment criteria. Silver Rating: Silver rated MPF schemes are good value for money MPF schemes that are well regarded across most key assessment criteria. Bronze Rating: Bronze rated MPF schemes are fair value for money MPF schemes that are well regarded across only some key assessment criteria.